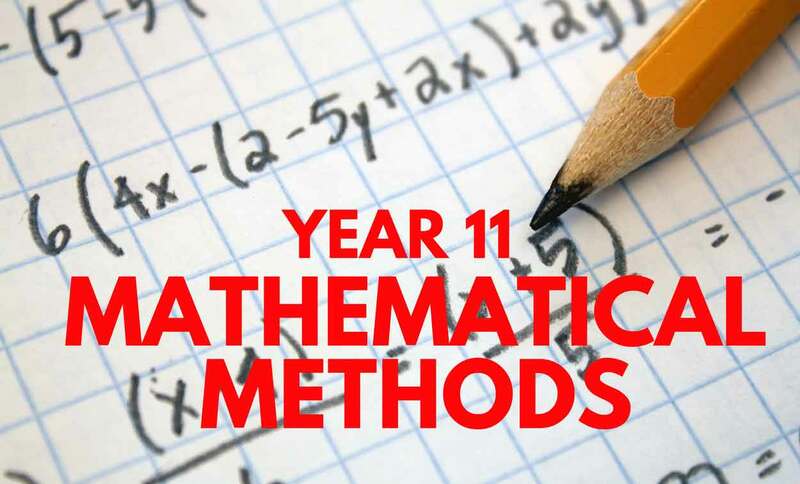 There is no set curriculum in Year 11 Maths Methods that is followed by every school, and so for this reason tuition sessions with our Adelaide year 11 maths tutors are structured around the work that pupils bring with them that has been set by their respective classroom teachers. Maths tuition sessions involve students largely working individually with their Adelaide year 11 Maths tutor on assignments from their textbook or that have been set from school, although this will very often be supplemented by additional resources supplied by the tutor. This supplementary work may include practice exam questions and problems that include worked solutions. In addition, the support provided is tailored to the specific needs of the students, depending on whether they need assistance in consolidating fundamental skills or require extension material that challenges them. Concepts or specific problems are often demonstrated to or explored with the whole group as shared learning opportunities. Throughout the course of the academic year, the structure of our maths tuition sessions will change to reflect students’ progress and development; for instance, at the beginning of the year the focus is predominantly on content, but this shifts to include more problem solving work, and then a greater emphasis on exam preparation. Students will also learn about how to use the various features of a graphic calculator. Our Year 11 Maths tutors will also assist students with their folio tasks, although this will be restricted to guidance and suggestions for possible paths to improve their work, as these tasks must ultimately be the student’s work and not that of their tutor.